→What Material Should I Use For 3D Printing? The present article will only focus on the most common consumables used in consumer 3D printers using the FDM (fused deposition modeling) technology. A traditional inkjet printer needs ink cartridges in order to be able to print – the situation is similar for 3D printers, except that 3D desktop-type printers need plastic filament. These consumables are mostly available online in a variety of types of material (ABS, PLA, PVA, etc. ), colors, diameters and lengths. Note: the more exotic printing plastics like polycarbonate (PC), high-density polyethylene (HDPE) or nylon are not discussed in this article. AB﻿S is used in a very large variety of applications in the industry nowadays. Examples include, among many others, the manufacturing of pipes (like drain, waste or vent pipes), automotive components, electronic assemblies, protective headgear (ABS has good shock absorbing properties), kitchen appliances, music instruments, protective carrying cases and toys, among which the most notable are the famous Lego bricks. ABS is generally very durable and strong, slightly flexible and quite resistant to heat. 3D printers able to process ABS plastics normally operate with a hot end (the heated part melting the plastic, before it’s forced through the print nozzle) at a temperature around 210-250°C. Therefore, a 3D printer able to process ABS is necessarily equipped with a heated printbed, in order to prevent warping or cracking of the printed materials. When it comes to cost, ABS is the cheapest plastic of the three filament types analysed and until recently was the favourite material of the 3D printing community. The material is suitable for a very large variety of purposes, especially as it can easily be sanded (to smooth the printed objects and remove jagged edges) and painted. Printed or broken parts can simply be glued together with ABS glue and it is easily soluble in acetone (i.e. nail polish remover). ABS is generally available in white, black, red, blue yellow and green colors or transparent and has a matte appearance. But ABS also has some drawbacks. First of all, it is a petroleum-based non-biodegradable plastic, that can be recycled though. Another problem is that ABS does create (mild) fumes which may irritate more sensitive persons – an installation of the printer in a well ventilated area or even a specific fume hood may be necessary. 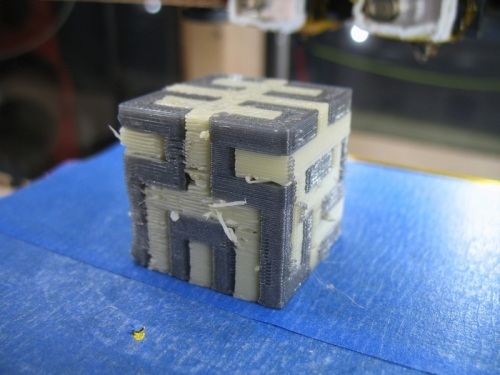 More recently, 3D printers with integrated HEPA filters have been hitting the market. ABS can also deteriorate by prolonged exposure to sunlight. If you are not using your ABS spool over a longer time, you should store it properly in an airtight container. ABS does attract moisture from the ambient air, which may affect your prints. If you are looking for tips on how to store 3D printer filament, check out this article. PLA is a biodegradable thermoplastic which is derived from renewable resources, such as cornstarch, sugar cane, tapioca roots or even potato starch. This makes of PLA the most environmentally friendly solution in the domain of 3D printing, compared to all the other petrochemical-based plastics like ABS or PVA. PLA is used for example in medical suturing as well as surgical implants, as it possesses the ability to degrade into inoffensive lactic acid in the body. Surgically implanted screws, pins, rods or mesh simply break down in the body within 6 months to 2 years. But, PLA is also used in food packaging, bags, disposable tableware, upholstery, disposable garments, hygiene products and even diapers. PLA is therefore considered as pretty safe. 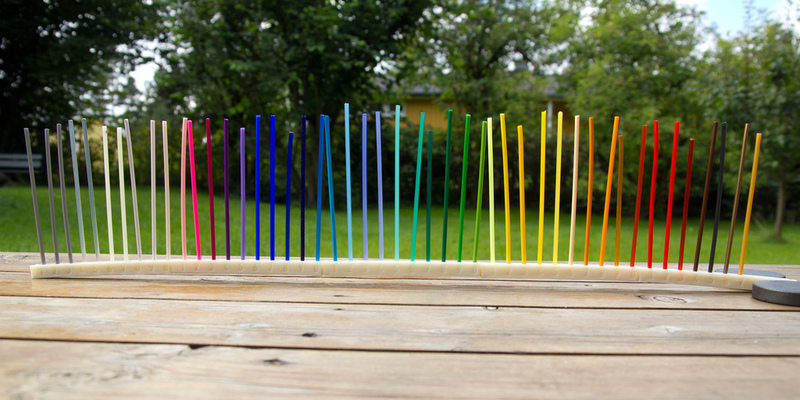 For those wanting to print PLA drinking cups or other recipients destined for food or drink, a word of caution though: do not forget that the coloring pigments in the filament may not be as harmless as the PLA itself. Unfortunately, the notice of use nearly never documents the chemical composition of those pigments in order to inform about their harmlessness or potential toxicity. PLA is tough, but a little brittle, once it has cooled down. Its temperature threshold is lower than the one of ABS, as PLA is normally extruded around 160°C-220°C. A heated printbed is not mandatory, but it may (at temperatures around 50-60°C) be beneficial to the quality of the printed object. PLA is quite slow to cool – experts recommend sometimes to install a fan pointed at the extruded material in order to speed up the cooling process. Once it is heated, PLA does emit a slight odor, best described as sweet corn, pancakes or maple syrup – but it does not emit fumes like heated ABS. 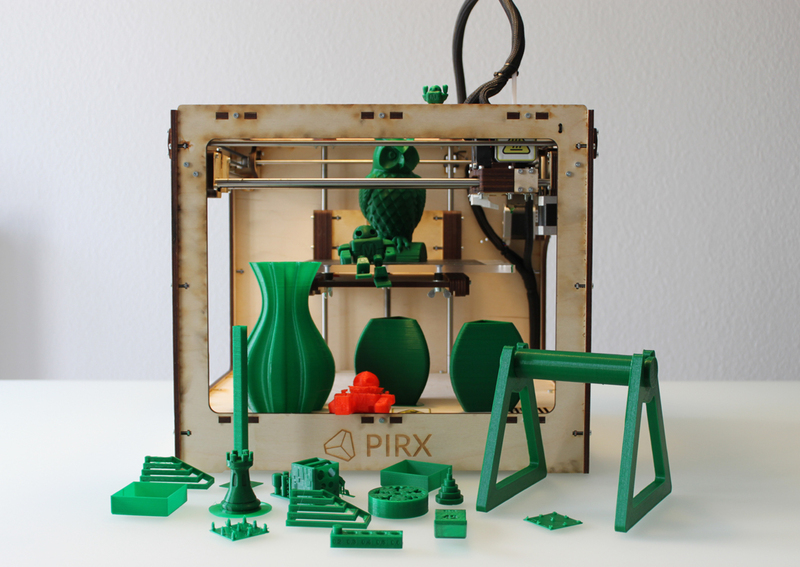 No fume hood will be necessary and you may safely print with PLA in-house. PLA can be sanded down and may be painted over with acrylic paint, but some people recommend using a primer. Glueing PLA is however not as easy as glueing ABS. Most people seem to get some results with cyanoacrylate (i.e. super glue), but this does have some disadvantages of its own (use of safety glasses and gloves, extreme stickiness to fingers and other body parts, very quick hardening, etc.). PLA has become a very popular choice in the 3D printing community, considering its low toxicity and its better environmental friendliness, compared to all the petroleum-based plastics. Its main drawbacks are that it cannot stand too much heat, as standard PLA becomes soft around 50°C (i.e. you can re-heat your printed object with a hot air gun, for example). On the other hand, one may consider this an advantage in order to easily repair, bend or weld printed parts. But PLA is generally considered to be the easiest material to work with, when you first start printing. It has been becoming more and more readily available and probably will overtake ABS as the preferred material choice. PLA is available in most colors and may be translucent or solid. When it comes to colors, this article by Flashgamer gives you a pretty good idea what is currently available. Most notable colors are the translucent (a.k.a. transparent) one, as well as the “glow in the dark” PLA. Soft PLA is also available – this very interesting variant permits the printing of flexible materials, but is more complicated to use. Sourcing soft PLA may also prove difficult. 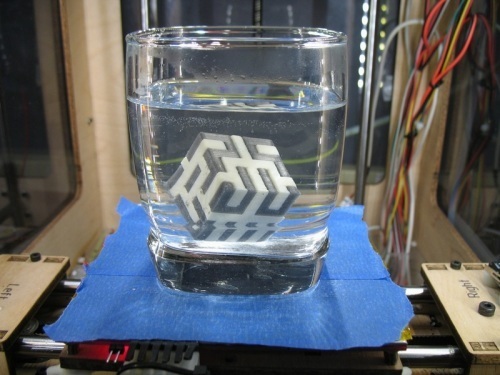 As with ABS, PLA does also attract water molecules from the air. PLA is more prone to water absorption than ABS and it will become (more) brittle and sometimes difficult to print with,as water saturated PLA needs a higher extrusion temperature. If you want to read more about how to counter this phenomenon, read our article on 3D printing filament storage. PVA is a special plastic that is water-soluble. It is most commonly used as paper adhesive, as thickener, as packaging film, in feminine hygiene and adult incontinence products, as mold release agent or in children’s play putty or slime. Another wide use is in freshwater sport fishing, where PVA bags filled with bait are thrown into the water. The bag rapidly dissolves, releasing the bait, in order to attract the fish. 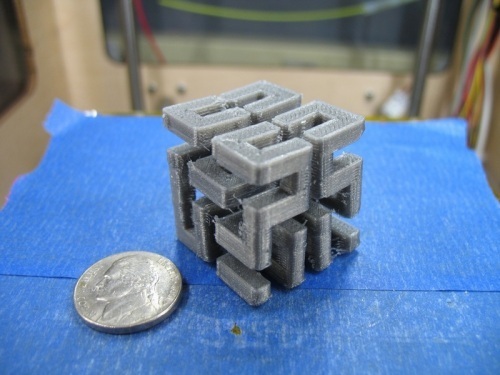 In 3D printing, PVA is sometimes used in printers with dual or multiple-extruders, in order to provide a support structure to an object with overhang issues. Some complex prints involving lots of overhangs (areas where there is no support under the upper layers) can be realized only by printing such a support structure. Otherwise, the printed structure would warp or simply collapse. The finished object can be put into water until the PVA has completely dissolved, freeing the object of the support structure, without the need of any pesky manual post-printing curing. PVA is normally extruded a temperature of 190°C, but is not very easy to use, as it attracts water so much. Ambient air moisture will deteriorate the filament very quickly. PVA needs to be stored in a sealed box or container together with a desiccant and may need to be dried before use. Another disadvantages of PVA include its high price and quite difficult sourcing. Once you have chosen the appropriate material, you should check whether the filament diameter is compatible with your printer before ordering. The two standard diameter sizes for filament are 1.75mm or 3mm. Only some printer models can accept both of these and you should always check what diameter your printer can use. The following comparison table summarizes the key properties as well as the pros and cons of each one of the three filaments types discussed above. 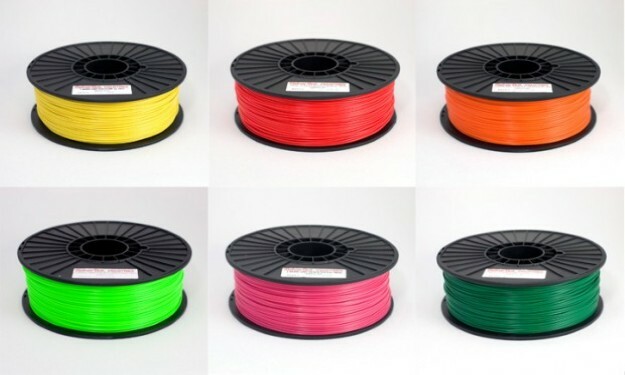 We hope that this article has helped to steer you in the right direction when it comes to choosing the right 3D printer filament. If you own a 3D printer you will most certainly end up working with both with PLA and ABS maybe even PVA. In case you are just starting out, we'd certainly recommend that you begin with printing in PLA as this filament makes it easier to get good results and is more forgiving than ABS. Do you have any further questions about choosing 3D printer filament? If so, feel free to post the in the comment section below and we'll do our best to answer them. Great post,I am retied &trying to convert my home made CNC into a 3Dprinter, that info is great and well writen. Thank you PHIL. Thanks for the feedback Phil, let us know how you are getting on with the conversion of your CNC machine. 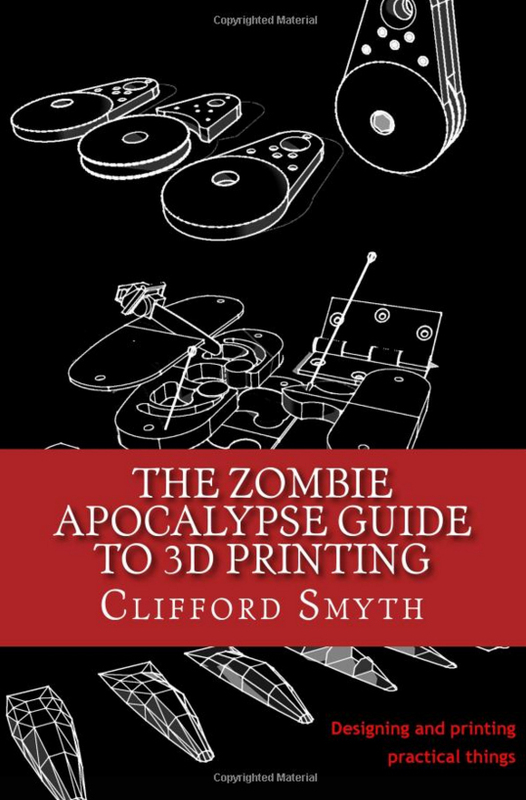 thank you for publishing this article.it enlighten my idea on 3D printer. i really need this idea beforehand.again,thanks a lot for this.from manila,philippines. Hi Prasannah, can you provide any more information on what exactly it is that you are trying to do? Not knowing exactly what you are referring to it is difficult to judge if 3D printing could be a solution for you or not. Thanks for stopping by. Your question is hard to answer without additional information. 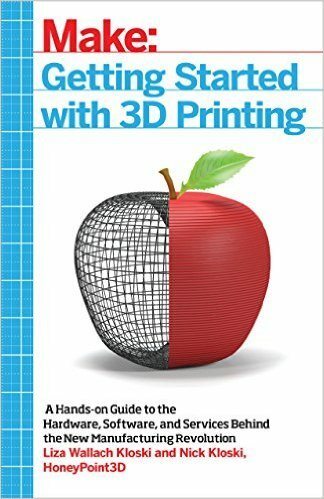 Please feel free to drop us an email at info(at)3dprintingforbeginners.com in case you would like to share more information. opportunities on having my own 3d printer. Great to hear that you found this article to be useful! Feel free to check out our post on more advanced filament types: http://3dprintingforbeginners.com/3d-printing-materials-bendlay-laywood-laybrick/ and check back soon, we have more content coming. Can you use dark chocolate instead of plastic? Yes, you certainly can. See here for a chocolate 3D printer: http://www.chocedge.com/. The working principle for this machine is the same as for any FFF 3d printer: it uses a consumable (in this case chocolate) that is being heated until liquid. Then a 3-axis positioning system is used to extrude the liquid chocolate into the desired shape. Nice… I would like to know is there any flexible material for 3D printing that can be use for medical usage( such as padding) which have contact with human skin with no side effects? Yes, ABS is stronger and, depending on your intended use, it can last longer than PLA. And I do agree, the smell of ABS can be nasty. Could a printer designed to use PLA can be used for ABS? What should we do when we want to invert it to ABS. Thank you very much. In order for your printer to be able to print ABS it essentially needs to: 1. be able to reach the right operating temperature, 2. (more importantly) have a heated bed. The main challenges with ABS are print bed adhesion (hence the heated bed) and secondly cracking of the print during cool down. Having a fully enclosed printer helps with the cracking but it is not strictly necessary. In order to give you any further advice it would help if you posted exactly what printer you are using. I tried starting straight off with abs. really difficult and picky, especially with cheaper 3D printers, but what you make with it is tough and lasts, so learn it second. I wouldn’t recommend ABS as a filament to a beginner. As you say, it is difficult to work with especially if you are still learning the ropes. PLA is much more beginner friendly, though less functional. The happy compromise is probably ColorFabb nGen. We have a review coming next week so keep an eye out for that.